TGD Wiki is a user-updatable database of information about the Tetrahymena thermophila genome sequence determined at The Institute for Genomic Research (TIGR). TGD Wiki provides information on the genome, genes, and proteins of Tetrahymena collected from scientific literature, the research community, and many other sources. The Co-regulation Data Harvester (CDH) is a software tool that allows the rapid collection of annotation data for co-regulated Tetrahymena genes. Thank you to Lev Tsypin and Aaron Turkewitz for contributing this valuable program to the community. See their publication The Co-regulation Data Harvester: Automating gene annotation starting from a transcriptome database in the journal Software X. We are pleased to announce the 2018 GSA Ciliate Molecular Biology Meeting that will take place July 17-22, 2018 at American University in Washington DC. Boris Striepen (UPENN) will be the Keynote speaker. We hope you will join us for this interactive and engaging meeting covering a broad series of topics in ciliate molecular biology. Flights into Washington DC are convenient (Ronald Reagan National Airport (DCA), Washington Dulles International Airport (IAD), and Baltimore/Washington International Airport (BWI)). Please mark your calendars. See you in DC! The article Structure of the germline genome of Tetrahymena thermophila and relationship to the massively rearranged somatic genome has been published by Hamilton, et al. in the journal eLife. Sequence data from this paper are available at TGD under the prefix "2016_mic". The sequences have been added to GBrowse and as an option on the BLAST server. Congratulations to the authors! The Ciliate Lunch at the 2015 ASCB meeting in San Diego will be held on Dec. 15th. Please contact Mark Winey (mark.winey(at)colorado.edu) if you plan to attend this event. The 2016 Ciliate Molecular Biology Conference will occur next summer in a new exciting context that we call the Totally Awesome Genetics Conference (TAGC) that will unite for the first time, most of the GSA-sponsored model organism meetings at one venue, run concurrently. 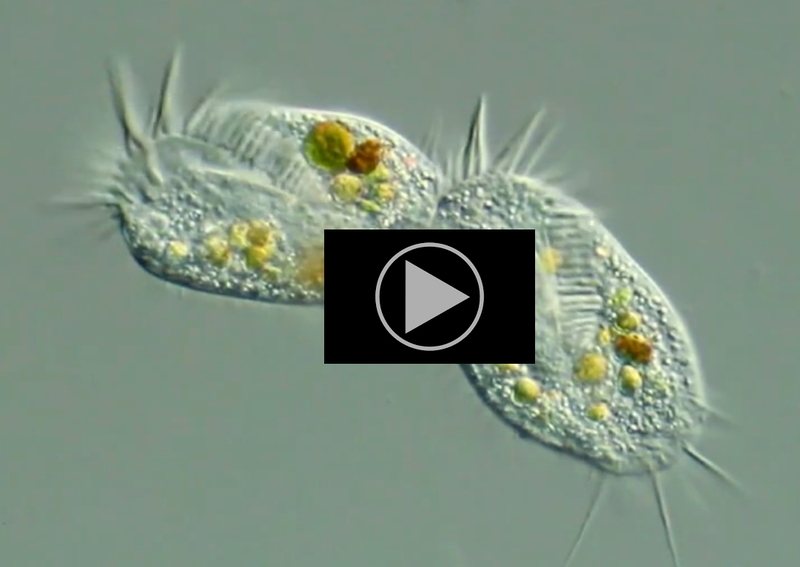 This is THE Ciliate Meeting for 2016, but it is much, much more! The meeting will be in Orlando, Florida from July 13-17 at the Orlando World Center Marriott, which provides a campus-like environment for unparalleled networking. In Orlando you will find incredible room rates and abundant and inexpensive domestic and international flights. We have chosen this venue that can accommodate this great meeting while keeping your costs to participate as low as possible. In addition to the exciting work in each organism, senior graduate students will have the opportunity to explore post-doctoral interests in other fields, postdocs will have the opportunity to network with faculty from other institutions, and everyone will enjoy a breadth of perspective never before possible at any model-organism focused meeting. So bring your shorts, shades and flip-flops and meet us in Orlando this July. The 2015 Ciliate Molecular Biology will be held at the University of Camerino (Camerino, Italy) from July 10 - July 16, 2015. Information about the meeting location and a preliminary program can be found on the conference website. The gene models in our database have been updated to match the 2014 annotation produced by JCVI. Over the coming weeks we will be adding new domain, homolog, GO, and other functional annotations to the website based on the new models. Thank you all for you patience as we work to improve the site. We have implemented Textpresso, the popular text-mining tool developed by Wormbase, at TGD Wiki. Textpresso for Tetrahymena, allows searching of over 1700 full-text papers using keywords and semantic searches. More papers will be added to the library in the future. A limited number of openings are available to attend a 2.5 day Tetrahymena genome annotation workshop that will be held at the J. Craig Venter Institute in Rockville, MD (outside Washington, DC) July 7-9, 2014. The principal intended audience will be faculty members interested in applying web-accessible tools for structural and functional gene annotation within an integrated research and education program. Our goal is to enable faculty and students (primarily undergraduates) to contribute, in a small or large way, to the ongoing improvement of the gene annotations available through the Tetrahymena Genome Database. Faculty should be committed to providing some such opportunities on a regular continuing basis, either in classes (genetics, molecular biology, bioinformatics, cell biology, etc.) and/or through independent research projects. The workshop will cover how to weigh various forms of evidence to make predictions of gene structure using the WebApollo interface and how to make functional assignments (gene names, GO terms, etc.) using information on protein domains and homology. We will also introduce Gbrowse tools for comparison of the macronuclear and micronuclear genomes and of the macronuclear genomes of T. thermophila and related species. Previous experience with genome annotation is not required. Participants should plan on arriving on or before Sunday, July 6 and leaving July 9 in the evening, or later. All standard expenses will be covered by an award from the National Science Foundation for each faculty member and, if possible, an accompanying student (rising senior or junior) who may act as a Teaching Assistant for one or more of the faculty's classes and/or as a mentor to students in the lab. Members of under-represented minorities or faculty at institutions that serve such populations are especially encouraged to apply. Please address all inquiries to one of the organizers, listed below. If you wish to apply, please send your name and contact information and a brief description of how meeting your research and education goals will benefit from the workshop to Bob Coyne, by April 25th. Three new Tetrahymena macronuclear genomes sequenced by the Broad Institute (T. malaccensis, T. elliotti, and T. borealis) have been added to TGD Wiki. Search these sequences in BLAST and GBrowse, or download them from our Genome Data page. The original data can be accessed at the Broad's Tetrahymena Comparative Database. TGD Wiki has updated citation information from Pubmed to include papers from the last year. Please take a moment to annotate genes mentioned in these publications in the References section of the Gene Page. To help accommodate a wider variety of gene names, we have increased by one (from three to four) the number of letters allowed to form a Gene Name prefix. Names were previously limited to the format "ABC123". Names with the format "ABCD123" will now be accepted. Please note that the additional letter must be included before the numerals; letters after the numerals (e.g. "ABC123D") are currently not accepted. We hope this modification to the published gene naming guidelines helps with the push to name as many genes as possible by the end of the month. The Student/Unpublished Research Database (SUPRDB, at suprdb.org) has been established by Ciliate.org to accept unpublished data to aid in the annotation of the Tetrahymena genome. SUPRDB began as part of the Ciliates in the Classroom project, but we encourage contributions from all members of the research community. Reports in standard scientific format can be entered at the site. The SUPRDB ID for the report can then be used just like a Pubmed ID in the GO Annotations and Associated Literature sections of TGD. Think of it as Pubmed Central for all of the unpublished findings we've made over the years. SUPRDB is the latest addition to the Ciliate.org family of websites, which now includes genome databases for Tetrahymena (tet.ciliate.org), Ichthyophthirius (ich.ciliate.org), and Oxytricha (oxy.ciliate.org). To sign up for write access for any of these sites, contact us at ciliate-curator@bradley.edu. TGD Wiki and TetRA, the Tetrahymena Research Advisory Board, encourage all community members to name genes in their area expertise over the next few weeks. To help with this effort, we have written a guide for naming genes based on simple BLAST searches. The criteria are straightforward and should allow us to quickly name conserved genes and gene families. This Gene Naming guide is posted under our Resources menu, or you can access it below. As a reminder, if you have published articles with new gene names, please take a moment to add these to TGD Wiki as well. Thanks for contributing! A new article about TGD Wiki has been published in Database: The Journal of Biological Databases and Curation. Enjoy! Please mark your calendar! The 2013 FASEB Ciliate Molecular Biology Conference will be held July 7-12, 2013 at the Steamboat Grand Resort (Steamboat Springs, Colorado). Information about the conference location can be found at the FASEB web site. The Recent Activity section of the left sidebar now shows the latest three gene pages edited by members of the community, including updates to gene names, GO annotations, and the list of related papers. Recent Papers shows the last three articles added to our index of Tetrahymena papers (downloaded regularly from Pubmed). Authors, please take a moment to link new papers to the genes they describe. We have updated the BLAST server and its collection of sequence datasets. The new BLAST software is capable of translating both query and database sequences using a variety of genetic codes. (Please note that Tetrahymena uses the "Ciliate Nuclear (6)" genetic code to translate mRNAs.) The most recent (v.2008) Protein, CDS, Assembly, and Trace sequences are currently available for search. For the time being, we also have a link to the legacy BLAST server at Stanford, which contains the v.2004 sequences. Please let us know if you find the new BLAST server lacks tools or datasets you found useful at the legacy server, which will soon be decommissioned. The Expression Profile section of each gene page has been updated to link with the redesigned Tetrahymena Functional Genomics Database. TetraFGD shows RNA-seq, microarray, and gene network profiles for T. thermophila genes. The preliminary annotation of the Ichthyophthirius multifiliis genome is now available for browsing and keyword searching at the ciliate.org genome browser. We will update the site with the official gene names and models once they have been finalized for publication. The Ich genome browser can be accessed directly at http://ciliate.org/gb2/gbrowse/ich. The genome browser has been updated to GBrowse 2 and is now showing the v.2008 annotation of the Tetrahymena genome sequence. We will maintain a link on the gene pages to the v.2004 browser until we are able to recreate the useful tracks available there, but please note that its sequences and gene models may be out of date. The TGD Wiki gene pages and v.2008 browser both show the current T. thermophila annotation. TGD Wiki gets a new look! The TGD Wiki website has been redesigned. Don't worry, all your favorite genes and tools are still here - but now it should be even more enjoyable to work on them! Thanks for this update go out to our newest programmer, Mike Bowen. Bradley University has featured TGD Wiki, a collaborative project between the Biology and Computer Science departments, in a Spotlight news article. Tetrahymena researchers who wish to contribute to the community annotation effort can now register and begin editing TGD Wiki. Simply send the information requested on the User Registration page to ciliate-curator. Once your lab receives a user name and password, visit the new Wiki Edit Guide to see what kinds of annotations can be made to your favorite Tetrahymena genes. Just announced: The 2011 FASEB Ciliate Molecular Biology Conference will be held at the Orthodox Academy of Crete (Kolymvari, Chania, Greece), from July 11-15, 2011. Details are available here. We have loaded citation information from Pubmed for Tetrahymena papers published in the last three years. From this point on, TGD Wiki will be updated regularly to include new papers that become available through Pubmed. TGD Wiki is now online! TGD Wiki is the new hub for information about the genes and proteins of Tetrahymena. TGD Wiki currently displays the most recent Tetrahymena gene/protein sequences and functional annotations from TIGR and other sources. In order to keep the information in our database as current as possible, we will soon be inviting the members of the Tetrahymena community to add and update these annotations to reflect published research. Check back here for updates as we continue to develop and improve this website.